1990 – Carden Botton Lady, 120594, pointer female, by Rebel’s Royal Hawk – Easter Cloud. Rudy Lehar, owner; John Daugherty, handler. 1991 – Rock Candy Man, 1227904, pointer male, by Rebel Hawk – Agenda. Dr. Madison Buckley, owner; Chuck Stretz, handler. Spring Creek Fanny. 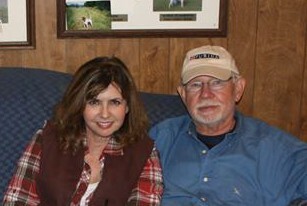 Bob & Luzene Eidson, owners; Bill Trabue, handler. 1992 — Muddy’s Princess, 1280236, pointer female, by Miller’s Chief – Bigoak Travelin Sue. Charles R. Jackson, owner; Jack Herriage, handler. Gerke’s May Roll. Brad Calkins, owner; Gordon Hazelwood, handler. 1993 – Valiente, 1282193, pointer male, by Hy Rail – Bell’s Lady Di. Parten Wakefield, owner; Butch Gerke, handler. 1994 – Therapy, 1337656, pointer male, by Roll’s Black Bart – Arrival’s Rasta Rose. Scott Crawford, owner; Marvin McDowell, handler. 1995 – Fiddler’s Shining Gold, 1332875, pointer female, by Fiddler’s Gold – Shirm’s Sassy Sadie. Ed & Jo Beverly, owner; Jack Herriage, handler. 1996 – Therapy, 1337656, pointer male, by Roll’s Black Bart – Arrival’s Rasta Rose. Scott Crawford, owner; Marvin McDowell, handler. 1997 – Barshoe Bushwacker, 1416488, pointer male, by Barshoe Curmudgeon – Barshoe Brushfire. Lee H. Cruse, owner; Dean Lord, handler. 1998 – Barshoe Bushwacker, 1416488, pointer male, by Barshoe Curmudgeon – Barshoe Brushfire. Lee H. Cruse, owner; Dean Lord, handler. 1999 – Gunsmoke’s Single Barrel, 1437890, pointer male, by Miller’s Silver Bullett – Chief’s Addition Peg. Fred and Bernice Rowan, owners; Bill Holmes, handler. 2000 – Southwind Mickey, 1447154, pointer male, by Therapy – Ferrier’s Troublemaker. Brad Calkins, owner; Gordon Hazelwood, handler. 2001 – Hickory Dickory Dot, 1469268, pointer female, by Cape Hickory Bob – Double Rebel Dee. Joseph A. Lordi and Joseph E. Lordi, owners; Mike Tracy, handler. 2002 – Panther Creek Dot, 1480807, pointer female, by Miller’s Silver Bullet – Rebel’s Georgia Gal. Frank Rutland, owner and handler. 2003 – Elhew Swami, 1500966, pointer female, by Elhew Jefferson – Hanna’s Elhew Lou. Bryce Flaming, Rob Butler, Stan Howton, owners; Shawn Kinkelaar, handler. 2004 – Elhew Swami, 1500966, pointer female, by Elhew Jefferson – Hanna’s Elhew Lou. Bryce Flaming, Rob Butler, Stan Howton, owners; Shawn Kinkelaar, handler. 2005 – Belfast Silver, 1506008, pointer male, by Jackman – Panovski’s Little Sue. Don Frigo, owner; Mike Hester, handler. 2006 – Elhew Sunflower, 1466488, pointer female, by Elhew Snakefoot – Hanna’s Elhew Lou. Bryce Flaming, Rob Butler, owners; Shawn Kinkelaar, handler. 2007 – Serious Threat, 1550685, pointer male, by Rock N Roller – Mt. Nebo’s Bell. Greg & Maggie Strausbaugh, owners; Mike Tracy, handler. 2008 – Sugarknoll Buckshot, 1536918, pointer male, by Mrawsum – Midnite Mountain Annie. Peter & Chris Del Collo, owners; Luke Eisenhart, handler. 2009 – Dogwood Meg, 1570838, pointer male, by Elhew Fibber McGee – Pinebloom’s Meg. Clay Nalley, Miles Atkins, owners; Shawn Kinkelaar, handler. 2010 – Ninnescah Nichole, 156448, pointer female, by Samuel L Snowbird – Jump’n Jackie Flash. Dr. Richard A. Steckley, owner; Chuck Stretz, handler. 2011 – Great River Ice, 1603849, pointer male, by Westfall’s Black Ice – Tallgreass Bee. Great River Kennels (Audrey, Jack and Brain Sanchez), owners; Mike Tracy, handler. 2012 – Covey Rise’s Oflee Amazin, 1593144, pointer male, by Elhew Sinbad – Elhew Hannabell. Gary Hertz and Drs. Thomas and Robin Morgan, owners; Shawn Kinkelaar, handler. 2013 – Great River Ice, 1603849, pointer male, by Westfall’s Black Ice – Tallgreass Bee. Great River Kennels (Audrey, Jack and Brain Sanchez), owners; Mike Tracy, handler. 2014 – Not’ta Snow Balls Chance, 1642229, pointer male, by Lester’s Snowatch – Buche’s Elhew Cassie. C. Rex Garner, owner; Stacy Perkins, handler. 2015 – C S Pressure Test, English setter male, by Hytest Sky Hawk – Luminary’s Snow Bell. Tony and Becky Gibson, owners; Doug Ray, handler. 2016 – Great River Ice, 1603849, pointer male, by Westfall’s Black Ice – Tallgreass Bee. Great River Kennels (Audrey, Jack and Brain Sanchez), owners; Mike Tracy, handler. 2017 – Hale’s Southern Touch, 1585837, pointer female, by Whippoorwill War Dance – Whippoorwill G M A. Dr. Jeffrey A. Hale, owner; Shawn Kinkelaar, handler. 2018 – Chelsea’s Thunder Bolt. xxxxx, pointer male, by Whippoorwill Wild Again – Butler’s Jill. Dr. Tom Jackson and George Hickox, owners; Shawn Kinkelaar, handler.